Bison Safaris will take you to the Maasai Mara which will give you the opportunity to enjoy the big five .Here is almost 90% that you will get to see all these animals. Topping up your safari with the spectacular wildebeest crossing in the Mara river. 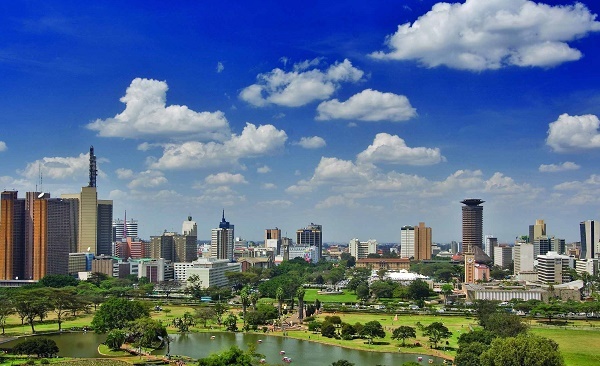 Proceed to Nakuru where you will have a chance to see the pink flamingos and finally visit the southern part of Kenya to Amboseli National park from where you will get to sample a clear view of Mt Kilimanjaro from the comfort of your hotel on a very early morning when its clear. Enjoy your safari. If you have ever closed your eyes and dreamed of Africa, you have envisioned the experience you will live today: Maasai Mara, cradle of the Maasai culture and an iconic African safari destination. Your driver guide will drive you towards the Southwest to Maasai Mara Game Reserve (approximately 5 ½ hours’ drive). You will arrive time for hot lunch at Narok town. Continue with your drive to Mara Reserve. Afternoon you will go for a late Afternoon game drive in Mara Reserve and come back to the camp for dinner and overnight at Lenchada Tourist Camp. Today you will have the chance of going down to the Mara river where the spectacular wildbeeste migration will be taking place. On your way as well you will see many herds of wildlife and probably you will see the cats (Lions, cheetah and Leopard). You will have departed with picnic lunches which you will take right in the jungle. Later in the evening you will return to Lenchada Tourist Camp for rest and dinner. Enjoy morning breakfast and depart for morning gamde drive. 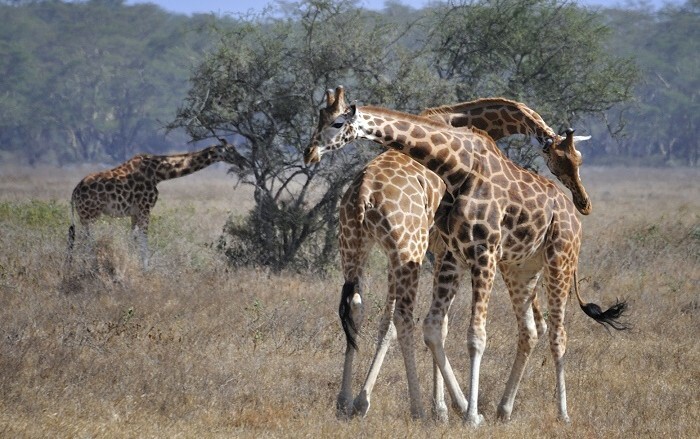 Thereafter check out of the reserve and proceed to L. Nakuru with a lunch stopover at Narok. Arrive at Lanet Matfam Resort in the late afternoon and spend the rest of the day at your own leisure with optional activities available and payable direct. 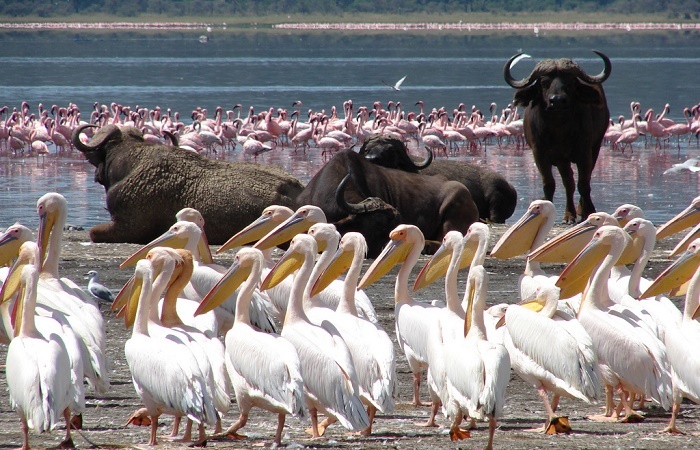 One of the Great Rift Valley’s most famous soda lakes, Lake Nakuru offers visitors the chance to witness one of the world’s most spectacular wildlife sights: brilliant pink flamingos as far as the eye can see. When conditions are right, between one and two million lesser and greater flamingos feed around the shores of the shallow lake, which together with tens of thousands of other water birds within a species list of around 400 birds, make Lake Nakuru a genuine ornithologist’s paradise. Dinner and overnight at Lanet Matfam Resort. Enjoy breakfast at the Resort and depart for morning game drive in Lake Nakuru National Park to see the many animals that inhabit this unique park including Rhino and Flamingos. Later exit Lake Nakuru National Park to proceed to Amboseli National Park with lunch enroute. Arrive at AA Amboseli Lodge in the late evening and spend the rest of the day at your own leisure. Amboseli National Park is the second popular animal park after Maasai Mara, is 260km (160 miles) from Nairobi, on the border with the neighboring country of Tanzania. Its magnificent situation at the foot of Mount Kilimanjaro, combined with its excellent opportunities to view Kenya’s animals, make it one of the most-visited safari parks in Kenya. 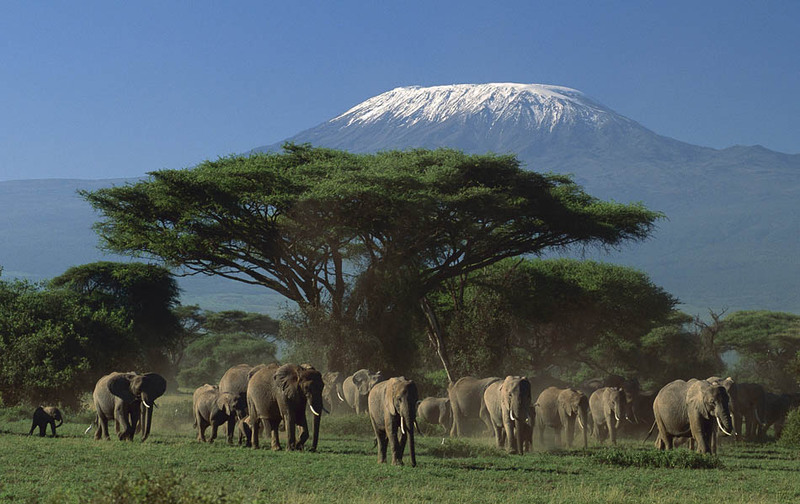 Amboseli is renowned for its large herds of free-ranging African elephants. There are over 900 African elephants in Amboseli, as well as huge herds of wildebeests and many other animals which you will see during game drives. Dinner and overnight at the Kimana Amboseli Camp. You will enjoy a full day game drive from 9am to 4pm in Amboseli National Park and have a chance to enjoy packed lunch on the observation hill with outstanding views of Mt Kilimanjaro and bird eye view of wildlife on their natural habitat. 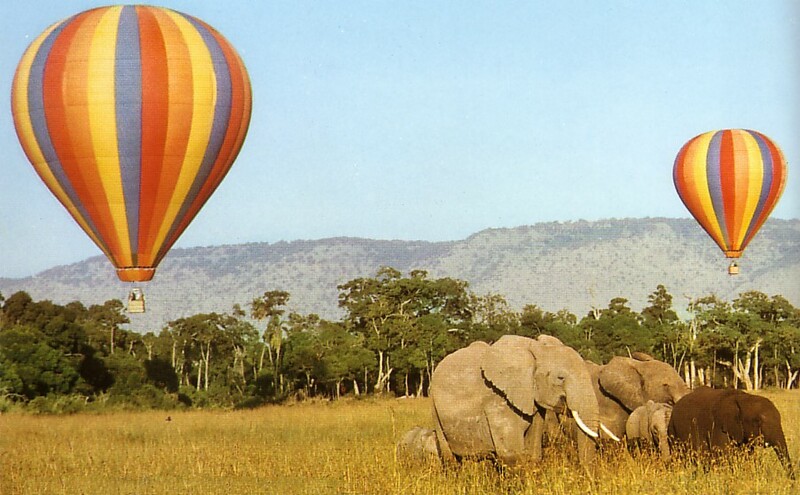 Amboseli National Park offers one of the most classic and breathtaking views of the gigantic Mt. Kilimanjaro which is the highest freestanding mountain in the world. You will have a chance to visit Observation Hill, which overlooks the park, swamps and, of course, the herds of free-roaming elephants. 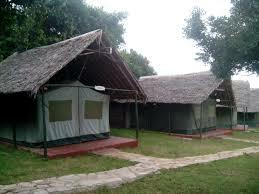 All meals and overnight at the Kimana Amboseli Camp. 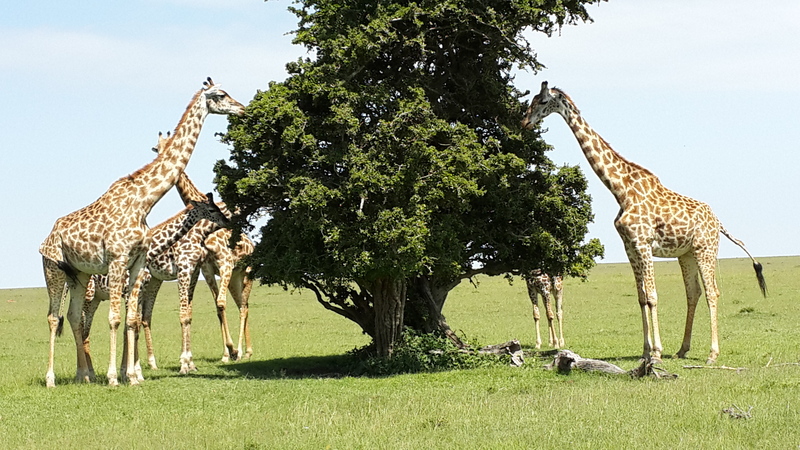 After breakfast exit the lodge for the last game drive in the park then depart Amboseli for Nairobi with Picnic lunch served enroute, arrive in Nairobi late afternoon where you will be dropped to your Nairobi hotel or at the airport for your flight back home. This marks the end of the safari and we do hope that you have carried unforgettable memories with you.